RELIABILITY: Jaguars ultimate car comes with an ultimate price tag. The XJ220 first appeared at the 1988 Birmingham Motor Show The original XJ220 concept featured a V12, unlike the twin-turbo V6 that was in the production car Body panels for the XJ220 were made from bonded-aluminum honeycomb. 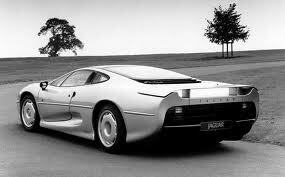 Only 350 XJ220s were ever built.